The Auckland Embroiders Guild has arrange for Alison Larkin, and award winning embroiderer and teacher from Hull, England, to speak at their February meeting. The Guild have kindly extended an invitation to members of CTANZ to attend. Alison Larkin explores history through her needle and thread. 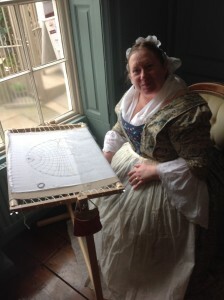 In 2015 Alison received the Janet Arnold award for costume research from the Society of Antiquaries of London to visit Australia and New Zealand to study three waistcoats associated with Captain James Cook, including one in Te Papa’s collection and one embroidered by Cook’s wife, Elizabeth. 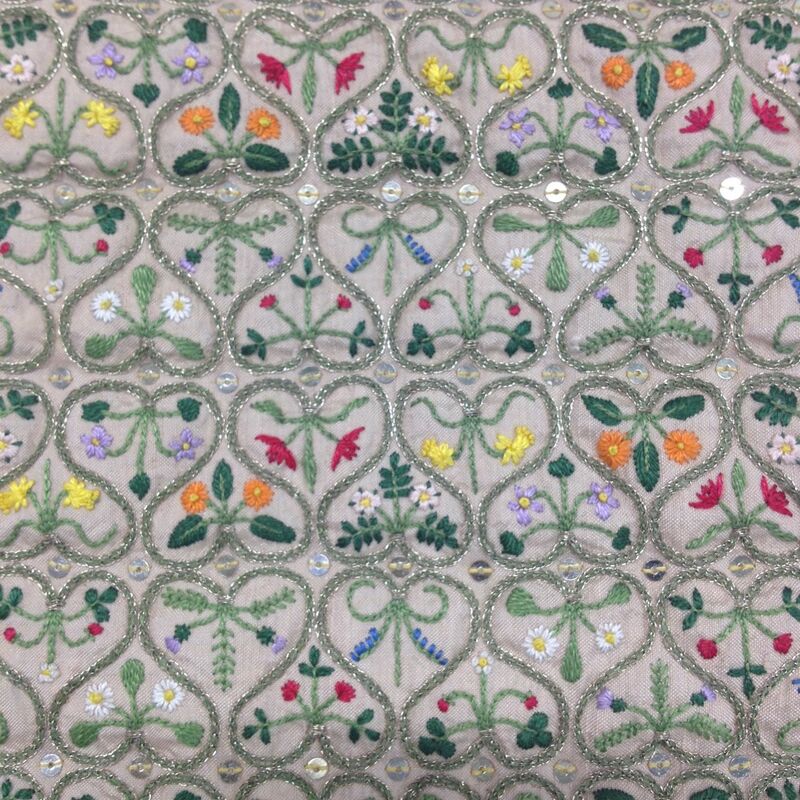 She is currently in New Zealand again to carry out further research on Te Papa’s waistcoat. 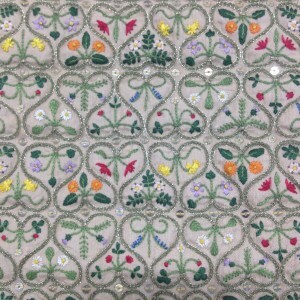 In her lively presentation, Alison will focus in particular on Elizabeth Cook whose embroidery reflected the travels of her adventurous husband. 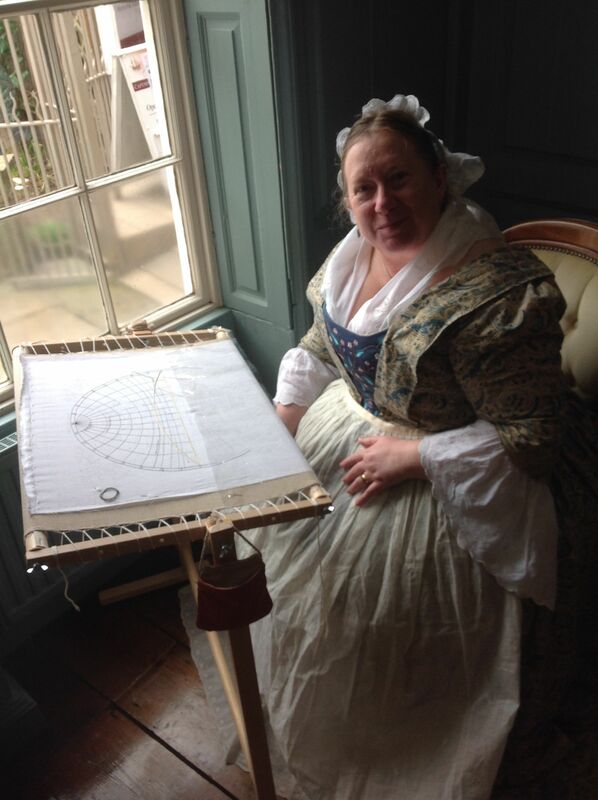 Elizabeth traced her husband’s voyages in stitch on a map sampler, and was embroidering a waistcoat made from tapa cloth that Cook had bought back from his voyage to Tahiti, when she heard the news of his shocking death. 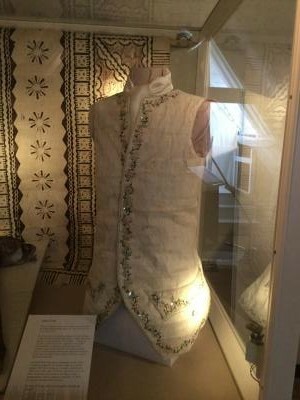 Alison Larkin’s recreation of Elizabeth Cook’s tapa cloth waistcoat on display at the Captain Cook Memorial Museum in Whitby, England. Please contact Auckland Embroiderers Guild President, Elizabeth Adams, 9628362, or email eliz1@ihug.co.nz for further information. This entry was posted in Auckland and tagged Alison Larkin, Elizabeth Cook, embroidery, James Cook, map samplers, waistcoats. Bookmark the permalink.